Does Calorie Restriction Impact Longevity? Drastically restricting calories could lead to a longer life, but we might not know enough about it yet. Food restriction has been around at least since the fourth century BC, when Hippocrates recommended emollient foods (cartilaginous fish, beets, and minced meat) plus vomiting at lunchtime. Then there was William the Conqueror, who put himself on the first known liquid regimen (trivia alert: it was all red wine) when he became too overweight to ride his horse. The 19th century poet Lord Byron swore by a daily doses of vinegar — the vomiting and diarrhea it caused helped him stay thin. 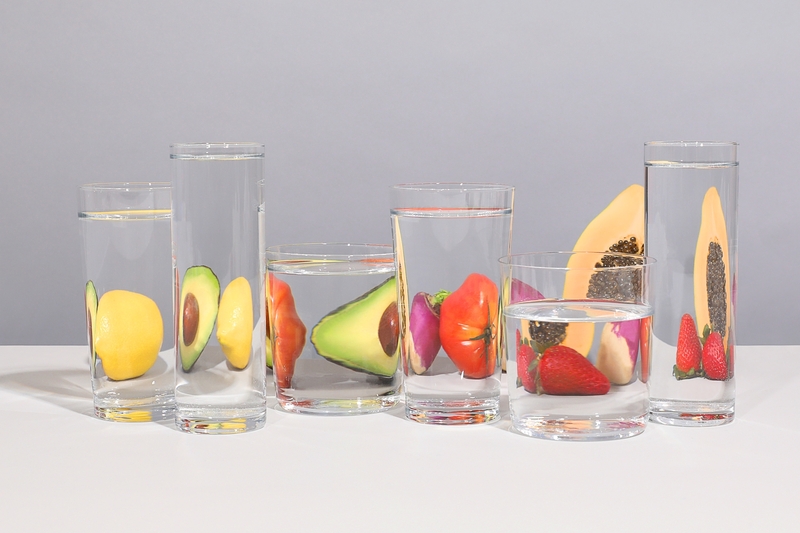 Many of these early (and unhealthy) diets were for aesthetic reasons, while many modern ones, such as the Whole 30, have evolved with weight loss not — or not supposed to be — the main objective. Today, of course, it’s well known that obesity puts you at increased risk for a range of serious diseases, but some of the eating regimens gaining attention seem to have health benefits beyond a slimmer waistline. One that’s being studied for its health benefits is calorie restriction, which has been linked to everything from extending life to improving cognitive performance to reducing instances of Alzheimer’s disease. The US government was so interested in the potential rewards of the diet that it even funded a two-year study, called CALERIE (Comprehensive Assessment of Long-term Effects of Reducing Intake of Energy). CR has something of a reputation for being extreme, but technically it’s anything upwards of cutting calories by 10 percent. CR, meanwhile, refers to the practice of maintaining adequate nutrition (in other words, still getting all the required micronutrients) while cutting calories by at least 10 percent. The key here is that followers are not doing it primarily for weight loss (although that does occur); they’re doing it for the health benefits and potentially for delaying death. Also, CR is about the total amount of calories; it isn’t about tinkering with amounts of proteins, fats, or carbohydrates, as has been the trend in weight-loss diets. CR has something of a reputation for being extreme, but technically it’s anything upwards of cutting calories by 10 percent. When you consider that often weight-loss diets can be 1500 calories per day — compared to the roughly 2,000 or 3,000 that, for example, adults should eat — you’re talking about a 25 percent calorie reduction. “A lot of people are actually a little bit more aggressive with diets,” says Eric Ravussin, a professor in human physiology at Pennington Biomedical Research Center in Baton Rouge, Louisiana, and one of the study’s principal investigators. CR as an area of scientific inquiry dates back to 1935, when scientists at Cornell University discovered that if they cut rodents’ calories 30 to 40 percent, the rats lived about 33 percent longer — so in rodent terms, roughly four years instead of three. Similar results have been seen in yeast, worms, and flies. (For the record, more is not better when it comes to CR; cut too much and the benefits disappear.) But CR’s beneficial effects may be a vestige of evolution. Food wasn’t always available, and the animals (and people) that adapted to deal with that were the ones who survived to another season. But the benefits of CR seem to reach far beyond just longevity. Restrict an animal’s calories and “they don’t just live longer, they’re healthier,” says Leonard Guarente, Ph.D., the Novartis Professor of Biology at Massachusetts Institute of Technology and chief scientist of Elysium Health. Join our mission to live healthier for longer through extraordinary science. We send our newsletter on healthy aging a few times a month. Calorie restriction in humans is not well-studied, in part because the long human lifespan — 78.6 years in the U.S. — makes it nearly impossible. And there aren’t any reliable biomarkers for longevity that would allow short-term studies to answer the question of whether calorie restriction extends life. Another problem is long-term adherence – animals don’t have to worry about torpedoing a calorie restriction plan by succumbing to the temptation of a second glass of wine or a cupcake. Americans’ struggle to stick to a diet — as anyone who’s ever started one on January 1 knows — also makes good candidates for studies difficult. For CALERIE, researchers had an extensive screening process considering some 10,000 candidates to come up with 238 enrolled participants, Ravussin says. “It was hard with the number of people we had to exclude,” he said — and the fact that people had to come to the research facility every day for three months for their food. “We excluded truck drivers or airline pilots because they couldn’t come to all the visits.” The study’s findings were reported in 2015, revealing that CR affected risk factors often associated with aging. For example, CR significantly lowered several predictors of cardiovascular disease, increased levels of “good” cholesterol, and decreased insulin resistance, an indicator of diabetes risk. One of the most famous studies in humans was also unintentional. In the early 90s, Roy Walford, a professor of pathology at the University of California-Los Angeles, joined seven researchers in Biosphere 2, an airtight three-acre mini-world in Arizona. When they realized they hadn’t brought enough food for the two-year project, the group subsisted mostly on vegetables and goat milk, plus a serving of meat once a week. The participants lost weight, yes, but their blood pressure dropped by an average of 20 percent and their indicators for diabetes had decreased by an average of 30 percent. How Does Calorie Restriction Work? 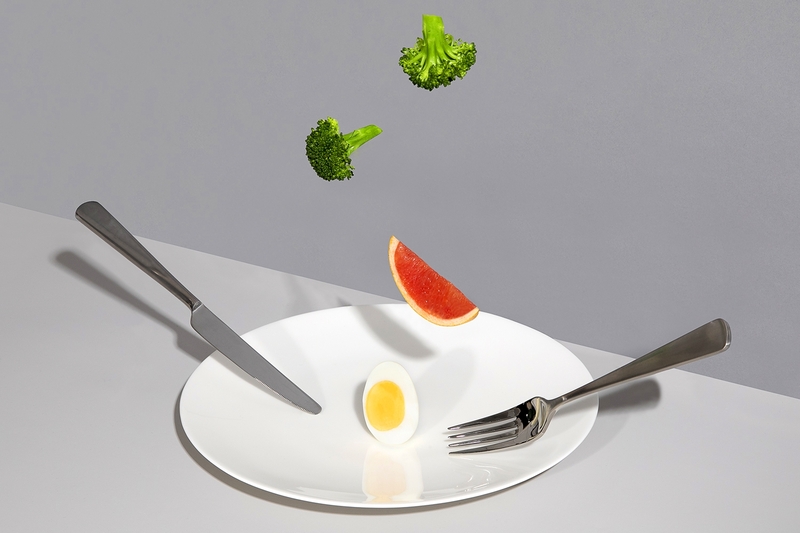 Scientists are not sure exactly how and why calorie restriction works — “there are about 100 theories,” Ravussin says. One of them? CR reduces inflammation and increases autophagy, or the cleanup of dying organisms in the body. At the same time it decreases oxidative stress, he says. Monkeys in the calorie restriction group lived longer and fewer died of age-related health conditions, such as cancer, heart disease and diabetes. A 2018 study Ravussin co-authored showed that CR decreased systemic oxidative stress, which is when there are more free radicals than the body’s antioxidants can keep in check. (Oxidative stress was measured by certain markers in the blood.) Oxidative stress has been tied to cancer and diabetes, as well as Alzheimer’s and Parkinson’s diseases. The CR also improved subjects’ mood. Another theory is that CR’s effect on sirtuins — enzymes that regulate the activity of genes responsible for metabolism, cell defense, and reproduction — is key. In humans, there are seven known sirtuins, which play a pivotal role in aging. Sirtuins can only function with NAD+ (nicotinamide adenine dinucleotide), a coenzyme whose levels decrease as we age. The hypothesis, Guarente says, is that NAD+ levels go up during CR, and the more that’s available, the more active the sirtuins are. CR slows both primary aging (so extends life span) and secondary aging (defers, for example, cardiovascular disease; this is sometimes referred to as “health span”). In a CR study in rhesus monkeys in Wisconsin, monkeys in the CR group both lived longer and fewer died of age-related health conditions, such as cancer, heart disease and diabetes. In humans, the reduction of oxidative stress, as per Ravussin’s study, may, in theory, slow aging because increased byproducts of cell metabolism accelerates aging. In humans, Ravussin says, researchers can only measure oxidative stress indirectly, via a blood test that looked at damage to three kinds of molecules. In animals, so-called reactive oxidative species in the body can be measured directly with radioactive techniques. What’s Next for Calorie Restriction? A long-running joke about calorie restriction is that whether or not it extends your life, it makes your life feel longer. So one big area of interest among researchers is a mimetic — something ingestible that would provide the benefits of calorie restriction without the hunger. Another question for researchers is whether the benefits of calorie restriction would be achieved or heightened when combined with now-trendy intermittent fasting, or the similar time-restricted feeding, when all meals are consumed within certain hours of the day, with nothing eaten during the other hours of the day. In a small study over just five weeks, Ravussin and colleagues studied the effects of time-restricted feeding in humans, comparing the same amount of calories eaten over a six-hour period (early in the day; dinner was by 3 p.m.) versus a 12-hour one. The group in the shorter feeding period had improved blood pressure and insulin sensitivity. In the meantime, researchers in the field don’t seem to mind the amount of attention CR is attracting — positive or negative. The root causes of aging begin at the molecular and cellular level. Pioneering scientist Leonard Guarente explains how aging works, why it leads to a decline in health, and what can be done about it. Basis is clinically proven to increase NAD+ levels, which decline with age. NAD+ is required for energy creation, regulating circadian rhythms, and maintaining healthy DNA.